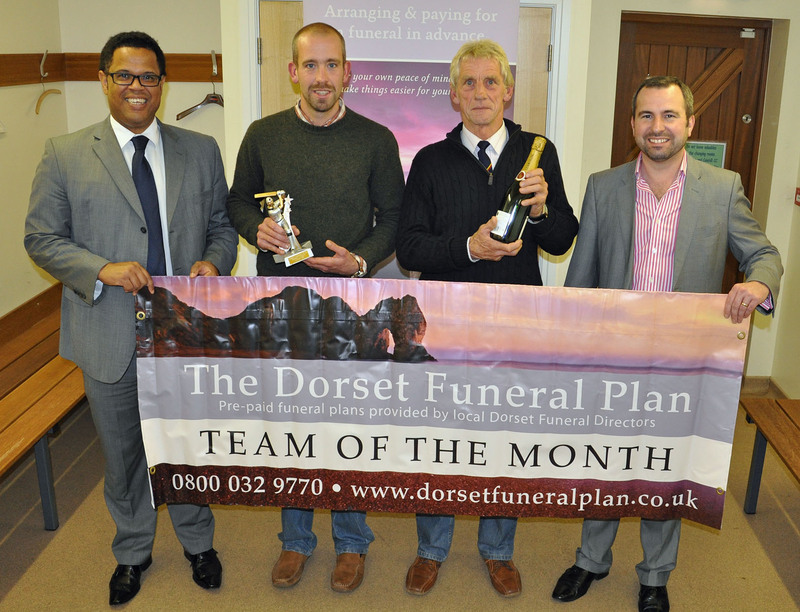 Cattistock were presented with the Dorset Funeral Plan team of the month award for August after a string of victories. During the final month of the season they beat Weymouth IIs, Dorchester IIs, Broadstone IIs and Ferndown Wayfarers II. Cattistock’s fifth fixture of August against Portland Red Triangle was abandoned after they had amassed 11 runs without loss. 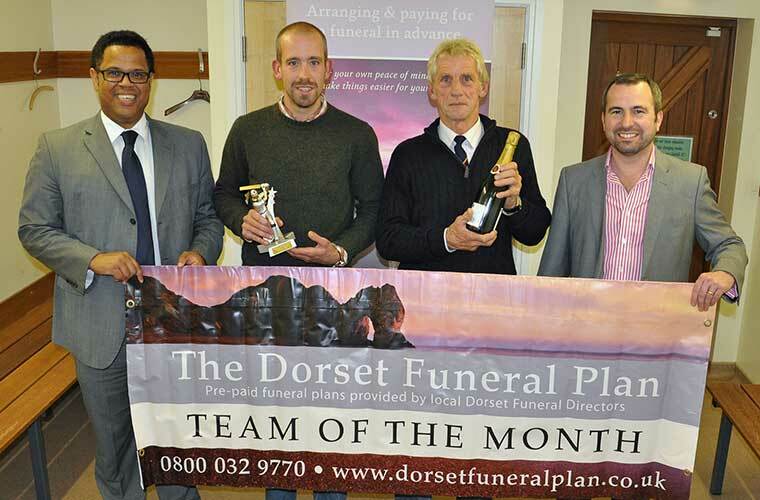 The trophy and bubbly were handed over at the league’s presentation night by sponsors Nick Douch and Shane Watson from the Dorset Funeral Plan. Each player also received a medal. Cattistock finished the season runners-up in Division 3. Sponsor Nick Douch said: “Cattistock won all their completed games during August and were worthy winners of the award.